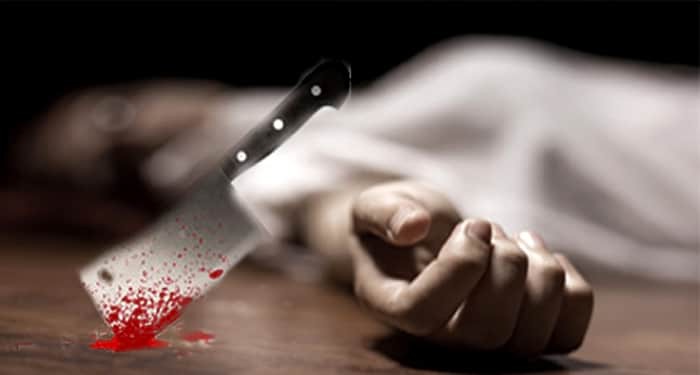 Midnapore: A man in Haldia in East Midnapore has been arrested on charges for hacking to death his two teenage daughters one of whom was 14 years old and the other 10 years. They were found dead on Sunday evening in their house with throat slit and with a deep cut injury in the head. The shocking crime has taken place at Haldia’s Barabari village under Bhawanipur police station jurisdiction. Biplab Das stayed in a thatched house at the village wife Sagarika, and two daughters Sheema (14) and Pooja (10). The elder daughter studied in class IX; the younger in class 10. Das has no regular employment and occasionally earned a livelihood by selling paper packets that he made at home. It is his wife Sagarika, who ran the family by working as a part-time maid in other households and doing odd jobs in the village. The husband-wife used to quarrel often due to poverty. According to Sagarika, their daughters wanted to have meat in dinner on Sunday night and thus, she went out to buy chicken from a shop located in another part of the neighbourhood. On her return, she found the door under lock and key but the lights were switched on inside. 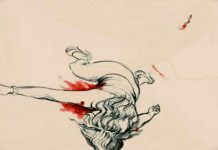 Out of suspicion, she peeped inside through a hole and was horrified to see her younger daughter lying on the floor in a pool of blood. Hearing Sagarika scream, neighbours rushed in and broke open the door. Inside, younger daughter Pooja was lying dead on the floor with deep cut injuries in an ear and head. 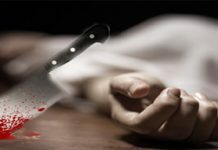 In the next room, lying dead on the bed was elder daughter Sheema with her throat slit and head injured. There was no trace of her husband. On being alerted, a team from Bhawanipur police station arrived soon and sent the two dead bodies to Haldia District Hospital for post-mortem. Sagarika lodged an FIR with police accusing her husband of having killed their two daughters. After a nightlong search, police managed to arrest the accused father in the wee hours today from another village located three km away. The key to his house was found in his possession. He was produced in Haldia Sub-divisional Hospital Court today and the judge sent him to 14 days police remand. Parijat Biswas, additional SP Haldia, said that prima facie it appears that both the girls have been killed by their father but the motive is not clear. “We are questioning him and other family members for a clue,” the officer said.